The difference between Clustered and Nonclustered index in a relational database is one of the most popular SQL interview questions almost as popular as the difference between truncate and delete, primary key vs unique key and correlated vs noncorrelated subqueries. Indexes are a very important concept, it makes your queries run fast and if you compare a SELECT query which uses an indexed column to one who doesn't you will see a big difference in performance. There can be two kinds of indexes in relational database Clustered and Nonclustered indexes. A clustered index determines physical sorting order of rows in a table similar to entries on yellow pages which are sorted in alphabetical order. Suppose you have a table Employee, which contains emp_id as primary key than clustered index which is created on a primary key will sort the Employee table as per emp_id. That was a brief introduction of What is clustered index in SQL. On another hand, Non-Clustered index involves one extra step which points to the physical location of the record. In this SQL Interview question, we will see some more difference between clustered and nonclustered index in point format. Btw, if you are very new to SQL and doesn't even know what is an index, what is the real use of an index in a table, and how to create and drop index then you should first go through The Complete SQL Bootcamp Become an expert at SQL! course from Udemy. It's one of the best course to learn SQL fundamentals in quick time. Most of the things we discuss here will make more sense if you have the basic understanding of what is n index and how they work. 1) A Clustered Index physically sort all rows while Nonclustered Index doesn't. 2) In SQL, one table can only have one Clustered Index but there is no such restriction on NonClustered Index. 3) In many relational databases, Clustered Index is automatically created on the primary key column. 4) Clustered Index can improve the performance of data retrieval while non-clustered index should be created on columns which are used in the join, where, and order by clause. You can further see the SQL Performance Explained by Markus Winand to learn more about how index work in different databases e.g. MySQL, SQL Server, and Oracle. That's all on the difference between Clustered vs Nonclustered Index in SQL. An index is very critical to query performance but too many indexes can actually harm the performance of INSERT and UPDATE queries because these require rearrangement of indexes which can be time-consuming based on the size of table or number of records on the table. Always create Indexes on columns which are frequently used in a SELECT query because there is a huge performance difference between an indexed and non-indexed column in SQL queries, though you should be careful with creating too many indexes because they will make the update and delete statement slow. An index is maintained on separate places and costs to update the index tree is directly proportional to number of indexes you have. If you have index in all columns of database then obviously, you have to re-arrange most of those index tree whenever you update or delete a row. The Complete SQL Bootcamp Become an expert at SQL! What are ACID properties of database transaction? P.S. - If you are looking for online training/course to learn SQL from scratch, I suggest you joining Introduction to SQL by Jon Flanders. 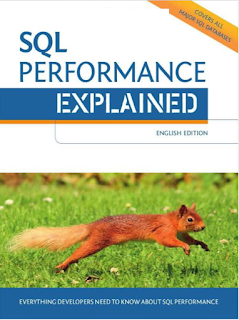 It's one of the best sources to learn SQL fundamentals e.g. join, subquery, aggregate functions, window functions, grouping data, advanced filtering and SQL query optimization. One of the key thing to remember about Clustered Index is that it organize data in cluster, which helps to quickly scan and retrieve data in a range. also since clustered index decides physical order of data, there can be only one clustered index in a table. All other non clustered index, uses a pointer, which points to clustered index. That's why in index tree, in case of clustered index, leaf contains data, but in case of nonclustered index, it contain pointer to data. Always remember indexes in SQL are double edged sword, though index improves SELECT query performance (retrieval), it affects insert and update query performance, because index needs to be updated, rearranged every time. A table with a clustered index is called clustered table. Its rows are stored in a B-Tree structure sorted. A non-clustered index requires separate storage than the table storage to store the index information. A table without any clustered indexes is called non-clustered table. Its rows are stored in heap structure unsorted. Both are very useful in sql.